Gum disease is one of the most common and serious dental health threats. Nearly half of the population of the United States will experience periodontal disease at some point in their lifetime. Gum disease is a bacterial infection within the gums, which are the vital tissues that support your teeth. The stages of gum disease can range from mild gingivitis to advanced periodontitis, depending on whether or not treatment is initiated. If left unchecked, periodontal disease can progress enough to cause tooth loss as well as impact your overall health. At ConfiDenT, we are prepared to provide the dental care and maintenance you need when it comes to gum disease. We are a modern dental practice that takes gum disease seriously. Not only can we detect and treat early gum disease, but we are also equipped to provide laser-assisted therapy for advanced periodontal disease. Your gums are the critical framework for your smile, and you can trust our skilled dentists to keep them healthy through all stages of life. 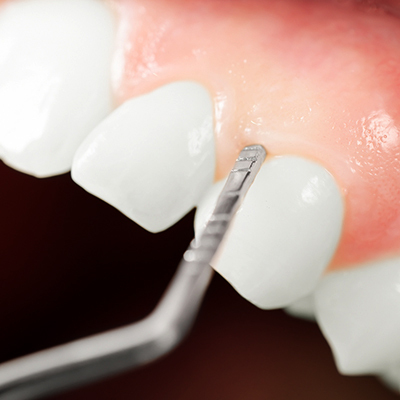 Are you at risk for gum disease? If you routinely skip your dental cleanings or fail to keep up with your daily brushing and flossing, you may find that your gums are more tender, redder or puffier than normal. Smoking and family history are also strong risk factors for gum disease. Regardless of the cause, if you notice that your gums are swollen, bleeding or starting to recede, these are your first warning signs that you need periodontal treatment. These symptoms indicate that there is an infection within your gums, and if it is allowed to progress, you may suffer from irreversible destruction of the underlying fibers and bone that support your teeth. Relief from bleeding, receding or swollen gums can be as simple as brushing and flossing more often or getting a deep cleaning from your dentist. At ConfiDenT, we offer effective treatment methods to reverse early gum disease, commonly known as gingivitis. 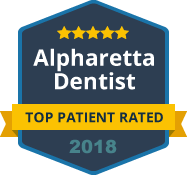 Contact our Alpharetta office today to schedule your appointment. We offer compassionate and personalized care to patients of all ages.